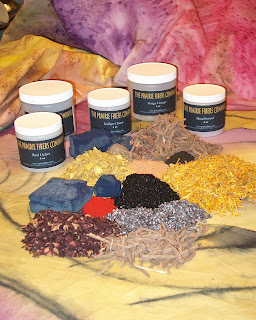 Yes you heard right we are wholesaling natural dyes, I'm hoping to have everything ready to go at the end of the month. Mainly it's getting my husband up to speed as he has the biggest hand in this venture. Our listing will be small at first, growing as time goes on, but we DO have Osage Orange, Black Walnut Hulls, a lot of native dyes, and most of the mordants in stock. The biggest hurdle is getting everything packagaed and ready to be shipped. Patience is what I recommend as we get this venture off the ground it'll be well worth the wait, the quality, is excellent which as a natural dyer for the past 15 years, is of upmost importance to us. Class DVD"s we think we may finally have the DVD burning issue figured out and if so I will be burning DVD's soon, very soon. Apparently it's something in the registry on the computer - have no clue what any of that means, but my computer person does and I hope to have it concqured and soon. These DVD's and the Books will be available wholesale to shops wishing to carry them. I will have a complete listing of that at the end of the month as well.